A friend of mine once dreamt that I had started my own church following the liturgy according to the Use of Sarum. I’ve had a few encounters with Sarum Use, including translating some of its texts on this blog.1 I started to imagine what my Sarum Use church would be like. Obviously, despite my Protestant sentiments to the contrary, the liturgy would have to be in Latin. And it would have to follow the Use According to Sarum. This is not difficult to organise; the entire Missal and Breviary exist in modern printed editions. I would probably, however, print up glossed versions of the text for the congregants. Although it’s something that I’ve seen in Tridentine churches, it would be my first departure from the mediaeval liturgy. Nevertheless, this seems perfectly justifiable; the Middle Ages had a low literacy rate,2 so pew sheets would have been useless — plus, parchment and paper were rather more expensive then, and print was only around for a few decades before the Reformation, to boot. Kitting out a full-blown Sarum church as recommended in the mediaeval sources would require no small sum of money — candles, censers, incense for the censers, vestments for clergy and the various assistants at the altar, altar cloths, banners for processions, chalices, patens (both plural, of course), monstrances, tabernacle for reserve host, etc, and more of which I am unaware. The architecture of a Sarum church is important. I thought about this for a while — Romanesque or Gothic? Mosaics on the walls? I decided that, as much as I am fond of Romanesque and mosaics, it would have to be Gothic with a few carvings and frescoes because our sources for this liturgical use come from the period when Gothic in all its variety and Perpendicular reigned supreme in English church architecture. So it would only be fitting for my Sarum church to be Gothic. Unlike Victorian Gothic, however, the windows would be large, ablaze with stained glass telling the stories of Scripture and the saints, like Yorkminster (or, preferably, La Sainte-Chapelle). This Gothic church would be cruciform in shape with the high altar just beyond the transepts. I would want a screen, but I’m not sure a. how authentic Late Mediaeval Rood Screens looked (besides Yorkminster) b. how much I want it to obscure the congregational view of the celebration of the Mass. My modern/Prot sensibilities intruding again! The music for the liturgy is another question. When Sarum was last in use, it was blessed by the magnificent music of Thomas Tallis. But I am not sold on this sort of music for congregational use — I want the people of the congregation to engage with the words of the liturgy and recite/sing/chant as much as they can. This sounds very Protestant of me (because it is), but I’ve a feeling it would be in the spirit of the Dominicans and Franciscans, anyway. Perhaps a compromise with an ‘Anglican’ or Gregorian plainsong for most the liturgy, but then intricate choral singing while people receive the Mass? Hymnody could come anywhere from the Latin tradition, I suppose. Perhaps restricting itself to hymns found in British sources? I wouldn’t want to restrict myself to pre-Elizabethan Latin hymns, though — I’d lose ‘Veni, Veni, Emmanuel,’ in that case! The lectionary would be based on the Sarum sources and the preaching in the vernacular based on the lectionary. That’s simple. 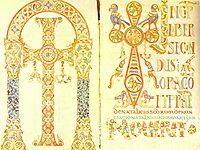 I think I would like to restore the Late Antique and Early Mediaeval ‘cathedral’ liturgy of the hours. That is, Morning and Evening Prayer, Monday through Saturday, instead of Mass every morning which is contemporary Roman Catholic practice. But, since this is a parish church, no attempt at the monastic liturgy of the hours. I think a modern practice that could be acceptable, however, is a mid-week, midday Eucharist. Thus the liturgy. Anyone with enough willing bodies and money could reproduce the Use of Sarum in an appropriate space. There are probably more people willing to get involved with such an experiment than one would think. Can we transplant mediaeval liturgy into the modern world and touch modern souls in the same way? If we were to transplant it, would touching modern souls as mediaeval even be the goal? The liturgical practice of the Middle Ages was part of a much bigger spirituality that a single parish could not recreate today. This was a shared spirituality that, with some variety of region or religious order (Dominicans, Franciscans, secular clergy, monastics), embraced Europe from Ireland and Iceland to the Czech Republic, from Norway to Sicily (and sometimes Cyprus and the Levant). 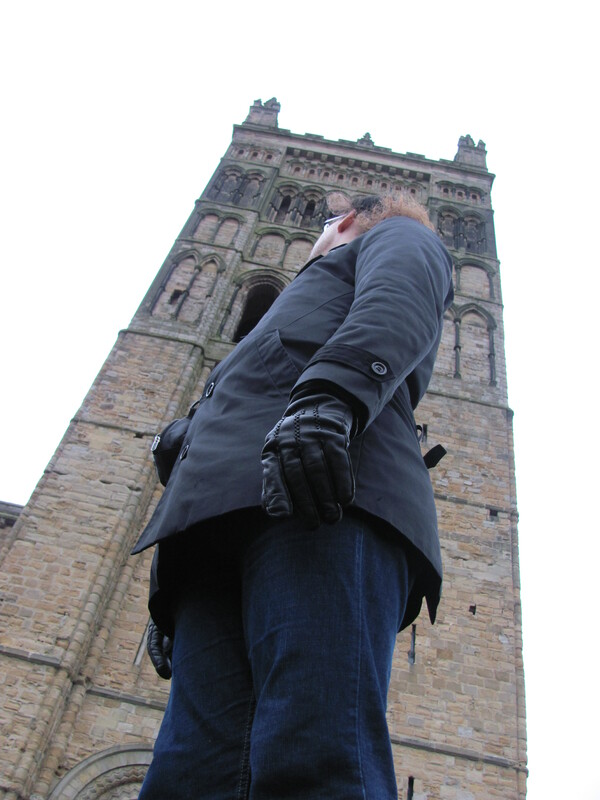 For all that pilgrimage has always had a hint of spiritual tourism, people would still have taken pilgrimages to Durham or Canterbury or St Andrews or Compostela or Rome or Jerusalem as part of an international spiritual piety that bound them together in a way that modern spiritual tourism does not. In England they would have had the religious world of the miracle plays on their doorstep as part of the regular life of a city’s entertainment. Monks and anchorites were available to learn from as an integrated part of a spiritual community rather than oddities or perceived as relics of a bygone age. Some of this could be mitigated in artificial ways in the parish life of the Sarum church, I suppose — study groups of the mediaeval mystical tradition, for example, or trips to living monasteries. But I don’t think the spirit of Sarum could ever be recaptured precisely because we no longer live in the Middle Ages. Christendom has been torn asunder over the past 500 years, and any attempt to integrate the mediaeval with the (post)modern must acknowledge that fact and realise that anything it does will be, inevitably, different from what they did, no matter how one might try. and will put away all the sins of men in suffering. From the Sarum use of the Roman Rite, based upon Judith 8:19 and 6:19.